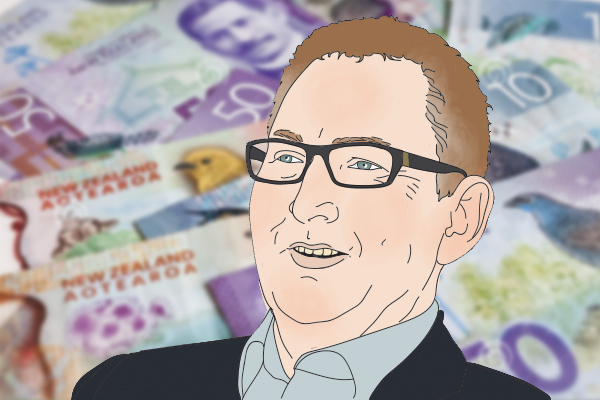 New Reserve Bank Governor Adrian Orr is echoing the sentiment of his “close friend”, Bank of England Governor Mark Carney, by warning that a rapid transition away from fossil fuels could cause shocks to the financial system. Orr stresses the need for “corporates, companies, banks, boards and regulators” to start thinking long-term about how their actions affect future generations. Yet speaking to Katheryn Ryan on Radio New Zealand’s Nine to Noon programme, he acknowledged the drastic action countries need to take to meet their obligations under the Paris Agreement on climate change could prompt sudden divestment from fossil fuels, sending asset prices down. Carney, in a famous speech, delivered to Lloyds of London in 2015, said the carbon budget the Intergovernmental Panel on Climate Change deemed necessary to limit global temperature rises to 2ºC above pre-industrial levels, amounted to between a fifth and a third of the world’s proven oil, gas and coal reserves. He said this rendered the majority of reserves “stranded”, as they would be “literally unburnable without expensive carbon capture technology, which itself alters fossil fuel economics”. Carney went on to explain investors' exposure to these shifts was “potentially huge”. “19% of FTSE 100 companies are in natural resource and extraction sectors; and a further 11% by value are in power utilities, chemicals, construction and industrial goods sectors. Globally, these two tiers of companies between them account for around one third of equity and fixed income assets,” he said. Speaking on the issue again on April 6, Carney spoke of a paradox; “that success is failure”. “That is, too rapid a movement towards a low-carbon economy could materially damage financial stability. "A wholesale reassessment of prospects, as climate-related risks are re-evaluated, could destabilise markets, spark a pro-cyclical crystallisation of losses and lead to a persistent tightening of financial conditions: a climate Minsky moment." Put to Orr, he agreed a sudden revaluation of carbon budgets for example, encouraging rapid divestment from fossil fuels, would have a huge impact on global financial stability. It is on this basis Orr drummed home his key message - for a change in society’s short-term thinking. “And so, when firms are pricing and investors are looking at what is the balance sheet of a company, you have to think over the horizon that matters to a long term investor. “People instead too often want to play the game, it’ll be ok for me because I’ll be in and out in time; I will have left the stadium before the game’s finished. And that’s just not going to be the case for all players. “It’s also more politically difficult, because the developed world has gorged themselves on fossil fuel for the last 300 years and now we’re turning around and waving our fingers at the emerging markets to say, by the way, you can’t use yours. Orr said it was still early days, but pointed out that the likes of the World Bank is working on ways to mobilise global capital into emerging markets to make this energy transition more rapid. He said “excluding” an activity is a way of making a transition, but “engaging” is “probably the best” approach. By this Orr meant investors engaging with companies on what they are doing to reduce their footprints on the environment. He stressed the fact that energy companies are set to play a huge role in making the energy transition. Yet under his leadership, the New Zealand Super Fund divested itself from the likes of Exxon Mobil, Shell, BP, NZOG and Genesis Energy. Orr explained: “What we did at the Super Fund, is we looked at some companies and said, it’s just not worth engaging because their sole purpose is to use and produce a fossil fuel which is not going to be viable in the future, so we excluded. Whats more important...a shock to the financial system or the collapse of eco systems? We need to get on with it....the denialists have had far to much air time. If they don't 'get it' by now they never will. Hold up rastus, you have misunderstood Adrian Orr's comments. He is not a climate change denier. The work he did divesting from fossil fuels when at the helm of the NZ Super Fund is a testament to this. He is simply pointing out the fact that there could be some very serious bumps along the way as the world does the right thing, and transitions away from fossil fuels. Yeah I had to turn the interview off when he started rabbiting on about climate change like a dyed-in-the-wool bureaucrat. He lost a lot of credibility there. How strange, I was wondering who it was that was showing such a great command of economics, science and the way forward. His leadership will be welcome as we find the difficult way forward away from business as usual. He needs to stick to finance and economics and be wary of the current fads of the day. Think Big the the failed Energiewende policies being classic examples. Climate science is a fad? just how much science and evidence do you need? His interview with Kathryn Ryan on RNZ was excellent. Orr is a break away from the old-school Governor! New era alright. What an really excellent communicator he is. Must be right up there. Sounds like you doubt the proven science of climate change. Or perhaps you are an energy sector lobbyist? Please let us know your financial motivation in the destruction of the planet so we at least understand your logic. Otherwise you're just another wanna-be that doesn't actually have a financial interest, yet does the dirty work for big oil. LOL.....so he follows the science, math, evidence and you turn away, par for the course really from you. The denialist claim not aimed at Adrian, just in anticipation of the inevitable outrage that follows anyone prepared to raise it as an issue. The focus we have on economic trivia compared to the monolith of climate change is extraordinary. Unlike you he is trying to bring people into the realistic world. And in that i feel he is very correct. Simply from a transportation perspective, motor vehicles could transfer across to electricity fairly easily and is beginning. Ships, especially international shipping will be able to shift to partials (sail/electricity/fossil) fairly quickly and very soon drop fossil fuels all together. But I cannot see air travel making a successful transition any time soon. Small light general aviation, and some short range commuter eventually. But long range international travel has a while to go before the technology is available. I don't hold out for green fuels because there is simply not enough land to produce food and fuels, and i fear that some of the bio alternatives to producing fuel could also be damaging to the environment. For large numbers of cars to switch to electric, we will need more generation capacity or more hydro storage lakes. At the moment its a trickle and not causing any issues, but if it takes off we are going to need to do smart things with how the electrical grid is run, and how people are charged for it. Nope..not for a long time. Just take away the discount given to Tiwai Point, they would shut up shop = plenty of surplus power. Yeah Push aluminium refinery out of NZ without removing the demand for aluminium and they'll start making it in Australia or India or where-ever with coal fired power. Soo much better for the world that is. Typical shortsighted greeny behaviour. And i'm sure southland would love you taking 10% of their economy away from them too. Hence for a long time I have commented that consumer air travel as we know it is gone within 20 if not 10 years, sell airline shares while you can IMHO. NB So planes can burn bio-fuel but the problem is the cost is way above what is affordable for mass air transit, rich ppl will still fly. but it will cost them. Ships, not so easy but they burn tar or the residual, we do have lots of that. "I don't hold out for green fuels because there is simply not enough land to produce food and fuels, and i fear that some of the bio alternatives to producing fuel could also be damaging to the environment"
exactly....then throw in the economics of it, who can afford bio-petrol at $8 a litre? sure rich ppl, not the economy overall. $8 a litre seems quite reasonable. Most would still buy it if that's all there was. From a whole of earth perspective, vehicles turning electric is no help with climate change. Burning petrol in a hybrid is cleaner than burning coal to make electricity. NZ is unique that our grid is so green. There are plenty of better alternatives to coal. Gas being the easiest quick changeover, then moving to Solar and Wind along with hydro, geothermal and nuclear. Solar and Wind require storage, and one possibility is that the vehicle fleet provides that storage. None are without some obstacles and some large infrastructure costs, but all are possible, and all are better than burning coal. while he is sort of correct, and its interesting that he says this I see no allowance for Peak Oil. So lets say Peak oil is a real event (it is) when it happens its going to be a significant impact on financial markets which Orr is confirming. but in the absence of the Chicken Littles, how do you get people thinking that far ahead? LOL, and chicken littles we have lots of around here ....:) !! wonder if anyone will mention Global warming if WWIII breaks up ?? You get them thinking about when we have a media not dominated by right wing old folk. WWIII ?, now there's a good excuse to not do anything, we 're all going to die anyway. Sheeesh. I guess those who are deeply invested in scientific ignorance will simply become irrelevant as the laws of nature demonstrate their hubris. Biggest risks to the planet today are an asteroid - we have had 5 undetected pass between us and the moon in the last year. These are far more damaging and certain which is more than we can say for the consistently wrong future past projections of temperature. And I certainly would support some sort of development of better deep space radar or whatever it takes to detect these asteroids in time to do something about them (although for a big enough asteroid that would require years of warning). But the reality is the big ones, the mass extinction ones are one in a million year event. A statistical certainty in the very very long run, but not a very small probability in the next hundred or even thousand year. Not much we can do about yellowstone or taupo or any of the other supervolcanos going bang again, just have to hope the existing sesmic monitoring gives some warning and deal with as best we can. Doesn't mean we can't or shouldn't do something about the problems of resource depletion and pollution that are not only real, and definate, but happening now, and within our ability to do something about. Sounds like mucho moolah to the oil businesses who are allowed to pump oil to me. An inter government agreement on putting petrol prices up. Who decides who gets the sales rights? More money to the favoured few and less to the many. Not forgetting the generous backhanders to those who bestow favour. Having said that, I think switching to electric vehicles is a really big step forward, getting rid of the deadly bloody fumes from the current stuff will be wonderful. Re: EVs - That in itself represents an opportunity for NZ, Tesla has made it's battery patents available for anyone. I'd be focusing on that transition from petrol reliance to EV, create a car industry in the regions to replace the current skilled workforce involved in oil extraction, 10 years to make that transition. Speak to the current manufacturers around the world and encourage manufacturing of EV vehicles in NZ - VW are shifting, the Prius is a hero brand of Toyota, BMW's 'I" range are doing well, Volvo has stated its intent to move to solely EV production. Why on earth would anyone make EVs (other than niche items) in NZ? All the raw materials have to be imported,. then the final product needs to be exported to any significant market. Australia couldn't make a go of an automotive industry with a population and market several times larger than ours and significant subsidies. It's a valid point, however, nearly 70,000 tonnes of steel are produced in NZ each year, fibreglass also made here - which can be made from recycled materials as well. Interesting idea. Just because the Aussies failed at creating a car industry doesn't mean much. It does need some sort of synergy to make it work though. There are lots of crafty ideas out there about an EV fleet being a national battery resource that can be plugged in and charged by solar and wind and used to time shift electricity to when and where it is needed. For example, plug in at work and warm your house at night. We would need some sort of engineering leap that gave us an advantage, but why not? Toyota Experimental Electric NZ. Sounds like an R&D opportunity to me, and apparently there's some rather generous grants out there about to be made, opportunity for Tesla/Toyota/VW/Nissan/Holden/Volvo to set up in NZ. This here - https://www.independent.co.uk/environment/electrified-road-sweden-first-... is certified next level genius. Actually I would suggest the most efficient investment is cycle ways. Why do we keep looking at expensive options when for a large %, a bike will do it? I regularly 'track' the same vehicle on my 8 k ride and more often than not, leave it behind. . I have encouraged others to start riding...within 2 weeks they usually tell me they cant believe how stupid they have been over the last 30 years. And why the antagonism or anti cycling? Its got me beat, I can only guess it is a combination of envy by those that prefer to show off their status symbols or from those who are in an industry reliant on cars. Get 30% into cars and the roads will be a motorists dream. The anti cycle way ravings (and green type issues in general) of the idiot Hosking are particulary irritatating. So whoose funding that rubbish I wonder? I probably would if there were more cycle ways available, which I believe has been put forward as a proposal, certainly wouldn't on the roads regularly though. Kiwi driving is shocking. ..its actaully not that bad. Often i think its the cyclsit attitude, dress (lycra enrages) and bike chosen. 40 years cycling to back it. Volvo is not moving to pure EV production. They have said every car will have a battery. They have not said no cars will have an ICE. Most will be petrol hybrids.